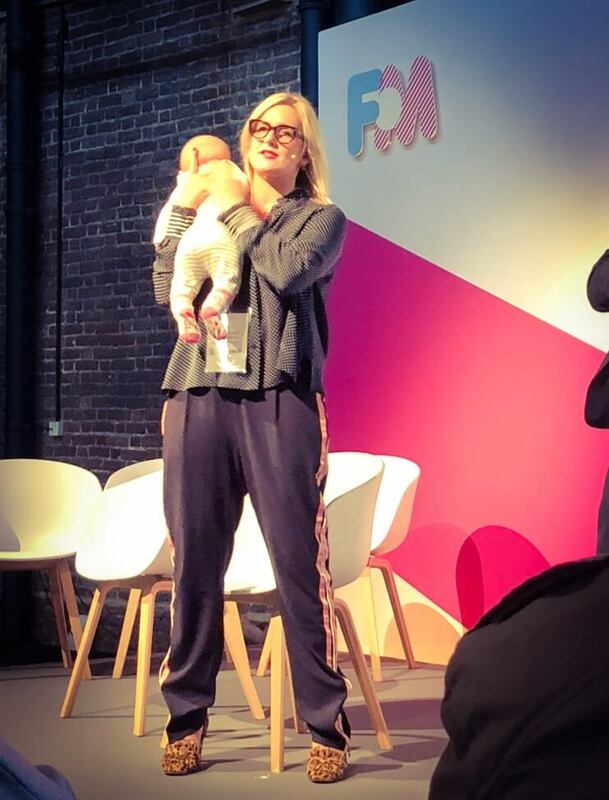 Proving she’s the queen of multitasking, popular parenting blogger Anna Whitehouse, aka Mother Pukka, yesterday delivered a presentation to a room full of marketers at the Festival of Marketing while simultaneously breastfeeding her baby and entertaining her toddler – all the while maintaining eye contact with the audience and delivering a confident and fluent speech on the need for flexible working in the UK. The audience reaction was mixed – while some praised the blogger for breastfeeding on stage, others felt it was inappropriate, and said that she could have waited until the end of her 20-minute talk to feed her baby. Anna’s mother Lucia Whitehouse, known as Grandmother Pukka, is also due to speak at the Festival of Marketing. Other speakers at the festival include Stephen Fry, Jo Malone, Tom Daley and Reggie Yates.